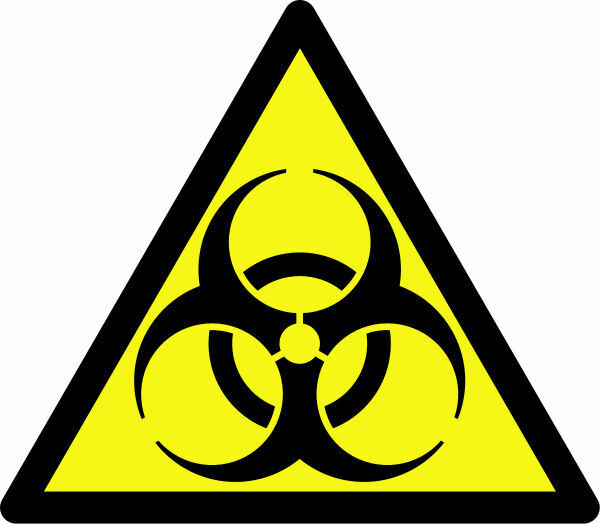 The Health Protection Agency are “concerned by the possibilities of adverse effects on human health from this plant….cannot now conclude that the installation does not present a cause for public health concern”. March 2013 letter to Cheshire East council. Many will be familiar with the 60 yr old Ministry of Defence grassed-over fuel tanks [resembling a teletubby land !] situated between Goostrey and Twemlow, near Holmes Chapel. A planning application was submitted in Feb 2012 by Cres Biogas Ltd to alter the use of the abandoned fuel tanks into an Anaerobic Digester/combined heat and Power facility. TAG (Twemlow and Goostrey no to waste plant objectors’ group) were committed to fighting the proposal at this inappropriate site, to protect our environment and the health and well-being of residents and are pleased that Cheshire East refused planning. You Tube ‘Twemlow Fuel Depot’ clip . If planning permission had been granted to Cres Biogas Ltd they hoped to become one of the biggest AD power plants in the country; it would be reasonable to assume that such a plant should be sited away from residential areas. AD is a profitable process with large subsidies that converts huge volumes of waste food, animal by-products, slurry, poultry manure, silage, grass and maize into methane and then electricity. This has green credentials and, on the surface, you might think the scheme had merit. ” Anaerobic digestion can be regarded as a chemical process with all the associated risks: flammable atmospheres, fire and explosion, toxic gases, confined spaces, asphyxiation, pressure systems, COSHH, etc. In addition, it also incorporates gas handling and gas storage. ” Biogas-info.com, the official portal for AD. 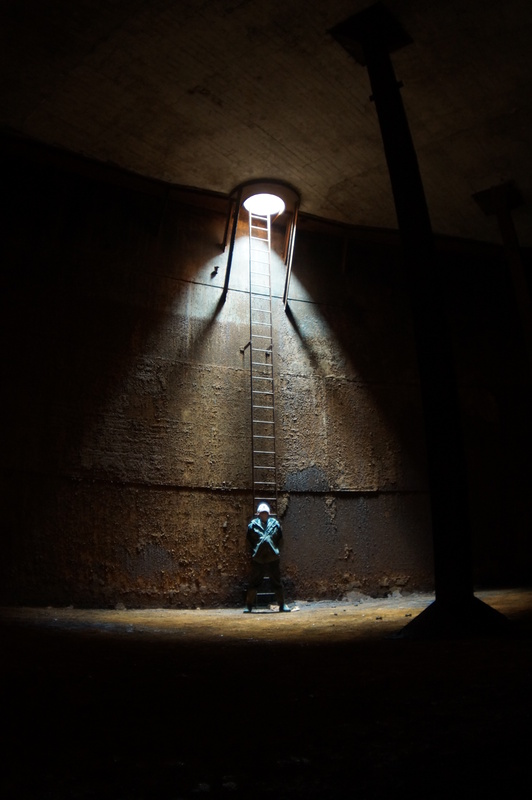 The existing tanks and pipework on site are 60 yrs old, disused for 30 years, and were not designed for highly corrosive slurry or to be gas tight. The old MoD Pipeline, unused for 30+ years, is currently being decommissioned. TAG was not against Anaerobic Digestion but power plants of this size are normally sited away from housing (sadly not the case for Cannock residents where the Biffa AD plant caused such a stink, residents 800 metres away complained to the EA for over 18months). This one would be just too close to homes, immediately next to the nearest house and under 800 metres from Goostrey school. Read our objection, link is on How to object page. Most AD/CHP waste power plants of this type using slurry and food waste are sited away from residential housing. Would you be happy for a power plant like this to be built near you? SSE Barkip, 3km from Beith, Ayr – pretty much in the middle of nowhere – is a good example where an AD plant could be located. ​More than 40 homes and 120 people live within 200 metres of the site’s boundary, including 13 new homes built in 2013, by the site entrance, which are now mainly occupied by families inc. babies. Cannock residents have said the AD plant nearby could be smelt up to 2 miles away. The AD plant outside Rothwell, Northants is at least 700m away from the village but residents reported smells so bad they could be a ‘risk to residents’ health’. Many of you will use cars, school buses, cycle, ride horses and walk on Goostrey Lane and Twemlow Lane and the A535, A50 and local footpaths and bridleways, so you would be affected by the HGV’s and large Tractor/tankers going to and fro. Is there a need for it? Have any local dairy farmers signed up or indicated that they will? If any have, would it provide the required amount of slurry? Are there enough local fields to spread the liquid digestate on? Are the narrow country lanes, with blind bends and a narrow railway bridge with poor visibility right next to the entrance, suitable? A large number of additional vehicles would be coming in and out of the site 8.00 til 6.00, including cattle slurry, rotting food and animal by-products etc every day from all over the county and perhaps the region. 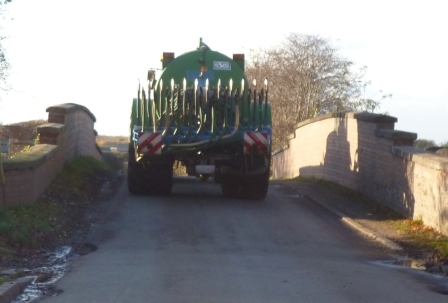 The same trucks would be leaving every day but not always full of digestate, because there only are certain times of year (2 to 3) when digestate is put on the land and left for some weeks until it is safe for cattle to graze. This means that there would be a high number of truck movements during these active periods 2-3 times per year when there would be more trucks required due to these limited windows of opportunity to spread. 41,000 tonnes of the 47,000 tonnes trucked in would be removed. The digestate has to go somewhere and if it is all spread locally could it over stress the land and leach into the brook? 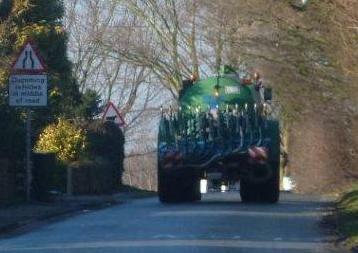 If the digestate is trucked further afield the carbon footprint of the operation would skyrocket. Increased traffic on lanes, to and from major roads and motorway. 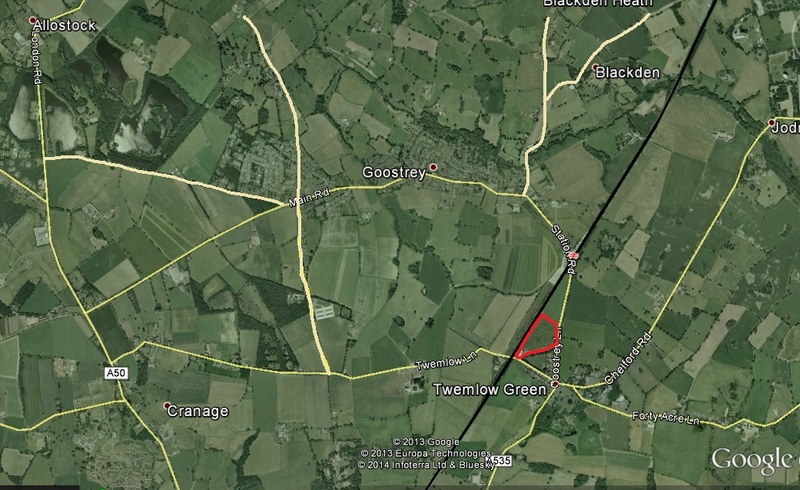 Is it time Twemlow and Goostrey’s MP recognises AD site would be too close to homes? Cannock Chase residents were supported by their MP fighting the on-going smells from the nearby Biffa AD plant, Milton Hill objectors were supported by theirs as well, but what news of our local MP? Twemlow and Goostrey’s MP Fiona Bruce campaigned hard against the incinerator in Middlewich yet chose not to involve herself with the proposed AD plant in Twemlow or make public comments. However it was clear from her comments in Parliament in January last year, before the application was actually submitted, that Ms Bruce was in favour of it replacing the need for an incinerator in Middlewich. Equally surprising is the phrase “with the support of Cheshire East Council” but perhaps, like us, they support the idea of AD as long as it is at an appropriate site – the proposed Twemlow site is not. The Environment Agency objected to the plans twice and finally refused an EA Permit in 2014. ……….no mention of the families who would be affected due to the immediate proximity to homes or the industrialisation of a rural area ! The leader of Cheshire East Council’s response to why it should be considered…Q and A in the Knutsford Guardian, Nov 2012. 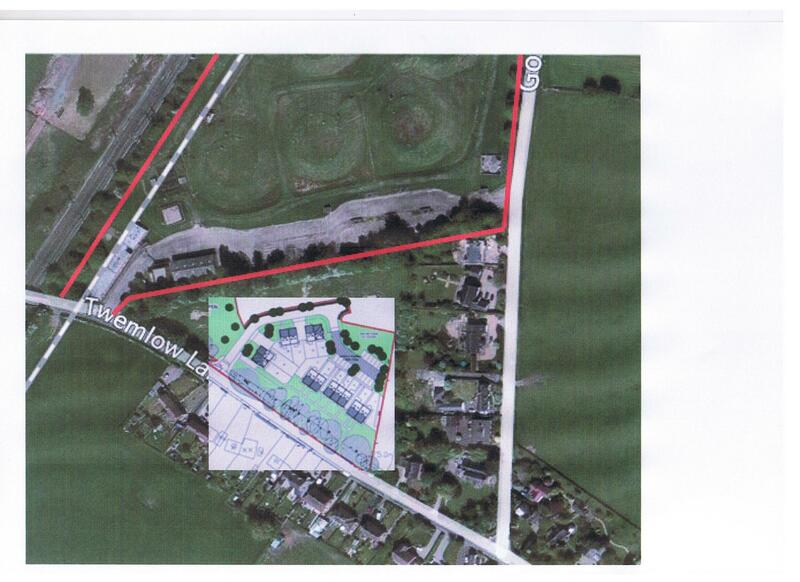 As you will be able to see from the application Cllr Jones was mistaken in his view that nothing is to be built – there would be a 40 ft high reception building about 216 ft long for instance, storage building, 3 tall chimneys, 40ft diameter x 20ft high gas holder, gas flare, etc. This is an excellent website I have just found ! I live in Ramsbottom, Bury and we are now having to face the prospect of a further AD plant in Bury – yes we will have two ! The second one will be 100 metres away from my home at the Fletcher Bank Quarry owned by Peel Holdings Environment and Marshalls. They plan to turn the quarry into a cesspit and turn the lovely landscaped tourist town that is Ramsbottom into a waste dump for the rest of Manchester. They say it will bring more jobs but when investigated further it will actually bring 5 more jobs and only 1 will be local as the other four are “specialised” – more jobs will be lost in this area because no one will want to come to sit out in the country pubs or quaint shops and the steam trains because of the stench emanating from this AD Plant over the whole of Shuttleworth and Ramsbottom ! Indeed Peel have already started work on the foundations (even though it is registered Green Belt land and deer and other wildlife frequent the surrounding hills around the quarry) despite the fact they haven’t put their application into the planning department at Bury Council yet – they are very confident that it will get through and it will I would imagine it probably will knowing Peel’s pull on things they want they usually get. This website is fantastic and you should all be very proud of yourselves for fighting this cause and not letting them get away with the odours you have been experiencing so far. Foundations before planning application? That can’t be good. Planning has not been approved here so no work or odours yet. Best wishes.